Come join us for a night of festivities for all the family! Post-Megillah Falafel King Feast & Music! For more information please email info@parkrowsynagogue.org. We’re excited to offer a day of delicious food, good vibes of Shabbat, and a youthful community! 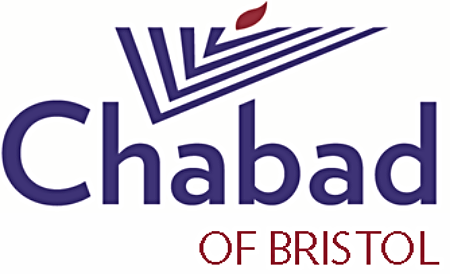 Bristol is happening this ShabbatUK! Kiddush + Lunch @ 12:45. RSVP to ujaskiel@aish.org.uk is appreciated but non essential. Speakers include Holocaust survivor Iby Knill, Councillor Asher Craig, and HM Lord Lieutenant Peaches Golding OBE. For more information please download a PDF brochure of the day here. Bring your family along to our communal celebration of Channukah. 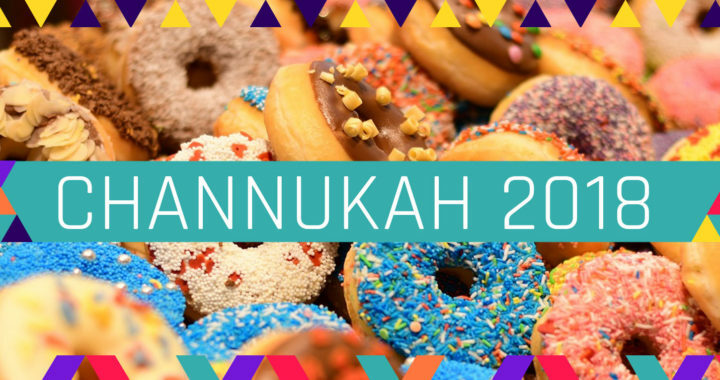 There will be games, music, dancing, spinning, crafts, and lots of latkes & doughnuts! 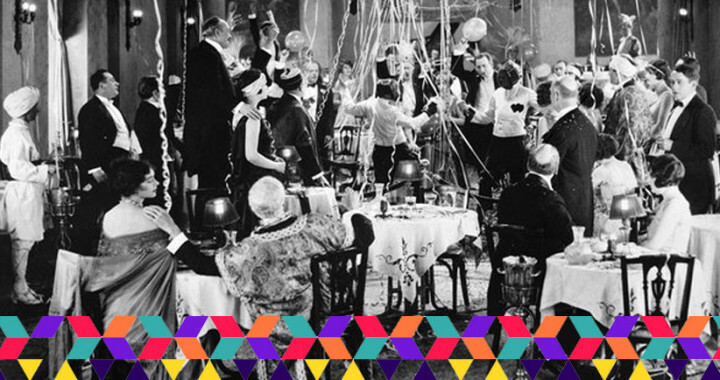 With Doughnuts n’ Latkes, Chocolate Gelt, Hot Drinks, Fire Show and Free Raffle, this celebration will be fun for all ages! Park Row Synagogue are hosting a talk from Alex Schlesinger on The History of the Jews of Bristol & Bath, followed by candle lighting, and a delicious supper. All are welcome, for more information or to book a place please contact Eve Gordon on 962 0187. In the Hebrew year 2448, just weeks after leaving Egypt, we all stood together at the foot of Mount Sinai where G-d gave the Torah. 3,330 years later, we are still celebrating! Rabbi Mendy & Chaya Singer will be hosting a celebration this weekend at the Park Row Synagogue on Shavuot morning for the reading of the 10 Commandments and a Grand Dairy Feast (vegan options too) following the prayer service. On Sunday, 20 May, 11am. We hope you can join us. 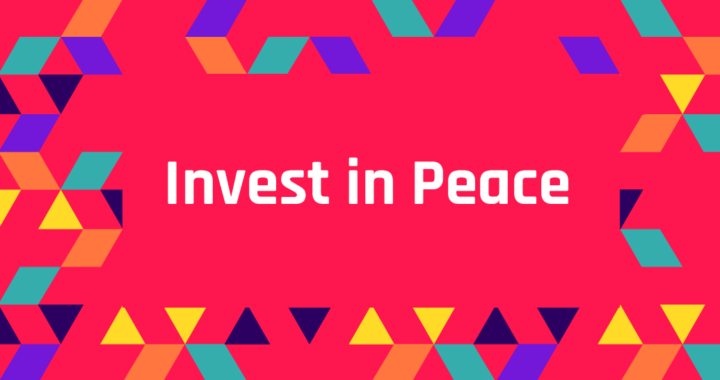 As Children are the future and the ones who carry the Torah on to the next generation, they will be included in the celebration with a fun Children’s Service and Ice Cream Party! Looking forward to celebrating together this Sunday. What does Kosher wine bring to mind? Palwin or Kedem? You may be amazed at how the kosher wine market has developed over recent years. Today there are many award-winning kosher wines available. The best selling Moscato in the USA happens to be Kosher, with only a fraction of its sales actually to the Kosher market! On Tuesday evening 15 May, Wine educator Ian Abrahams Dip WSET will be leading us with a guided tasting of eight selected wines. From California Zinfandel to Israeli Chardonnay to French Riesling to Spanish Rioja there will be something for all tastes. Served up with fine Kosher cheeses and light refreshments, this will be an evening to Un•wine•d in great company! 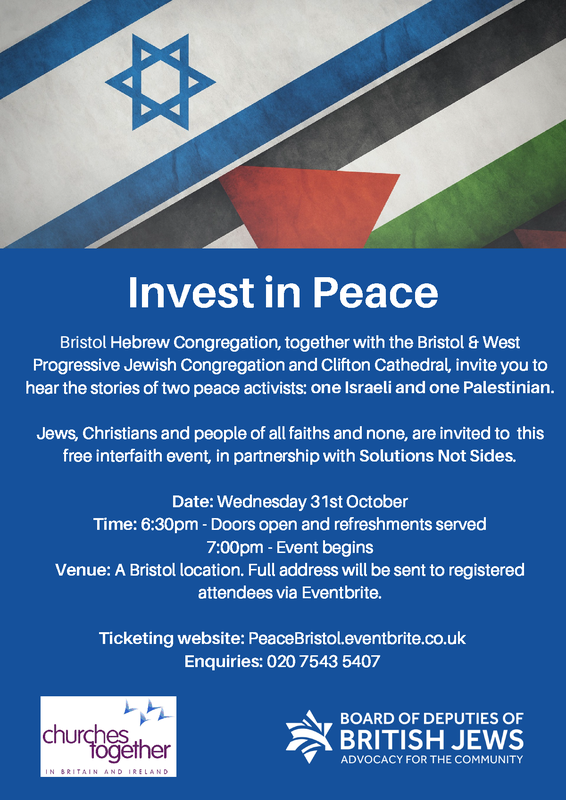 Tickets are £12 online at www.jewishbristol.com/wine or £15 at the door. 15 May, 7:30 PM at the Park Row Synagogue. We look forward to meeting you at this unique and special evening. 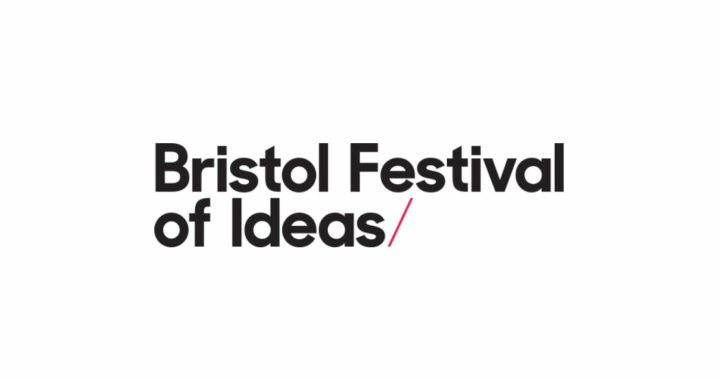 in Bristol this year to celebrate. Find out more about the performance here. 6:00pm Family Cheder – come in fancy dress! One of the special Purim Mitzvot is Matanot La’evyonim, giving gifts to the Jewish needy. There will be a special collection box in the Shul on Purim which will be distributed to local Jewish families in need of support and to the poor in Israel. Do you know of someone in the community who is housebound and unable to join the Purim celebrations? If so, please contact Rabbi Mendy Singer so we can schedule a home visit to bring the warmth and joy of Purim to their door. 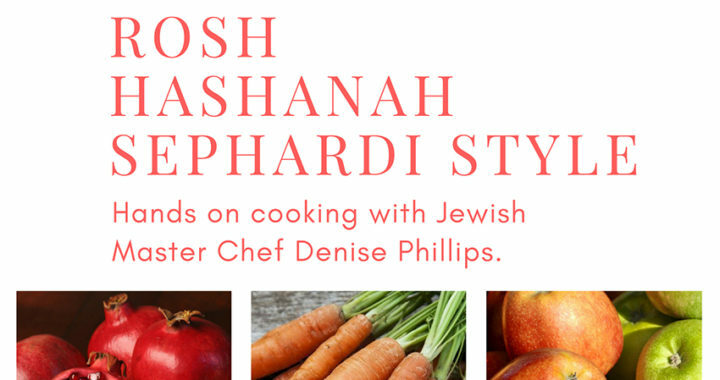 A hands on cuisine workshop guided by Jewish Master Chef and author of six kosher cookbooks, Denise Phillips. 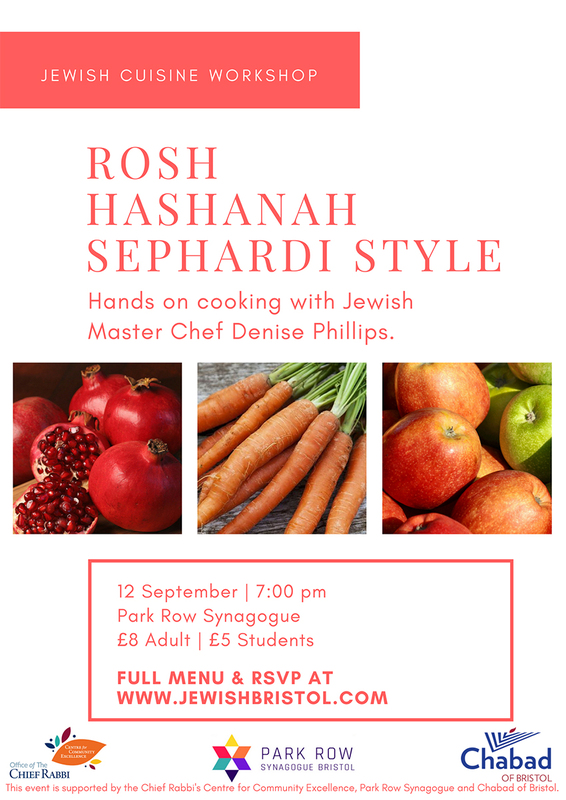 We will be cooking up a varied menu of Sephardi style delicacies using Rosh Hashanah themed foods. You will learn a few new tricks and recipes, taste the Simanim of Rosh Hashanah and take home your own masterpieces to enjoy. Tuesday, 12 September 2017, 7:00 pm @ Park Row Synagogue.